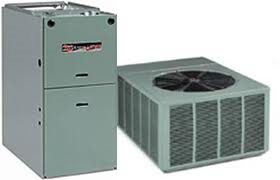 Perfect Air offers Heating and Air Conditioning Installation / Repair in Long Beach, CA. $75 Service Calls. Free Estimates. Perfect Air provides budget friendly furnace and air conditioning repair / installation in Orange, Riverside and Los Angeles Counties. Perfect Air offers Air Conditioning Repair and Heating service 24 hours a day, 7 days a week. Our Air Conditioning or Heating service call prices range from $75 to $125.00.00 for normal house calls, to emergency service calls. A small but highly trained company in Long Beach, we repair, install and service compressors, condensers, evaporator coils, heat pumps, floor furnaces and every thing in between. Please choose us for all of your Heating and Air-Conditioning needs. We have an “A” rating with the Better Business Buraeu and have been serving the community for many years. Our customer service, before and after your heating or air conditioning repair or installation, is second to none. See our “Review” section at the bottom of the page for recent customer feed back. This BBB Link will take you directly to our listing on their site. These are provided for your peace of mind and should help you make an informed decision. Does your Air Conditioning blow warm air in AC mode? Perhaps your furnace fails to warm your home or runs continuously? Maybe it doesn’t even come on at all. These are common problems we hear everyday. Our service call fees range from $75 to $125. This entitles you to a written diagnosis and estimate for repairs . The fee is waived if you decide to use us to effect the repair. Our trucks are fully stocked, which ensures we will leave you with your equipment operating properly the first visit. We professionally install only name brand, quality equipment. This, along with professional installation, ensures your new investment will be operating properly for many years to come. When the air conditioning or furnace doesn’t work properly, it takes its toll on your comfort. From air conditioning units and heat pumps, forced air furnaces to floor furnaces, we have an outstanding staff that strive to repair rather than replace where ever possible. Contact us for a free estimate or to schedule a repair. We offer 24 Hour-Same Day Service 7 days a week. (Please see our “repair” section for more information.) We have 15+ years of HVAC experience, are licensed and bonded and union trained. Don’t take a chance by calling the BIG GUYS! We look forward to giving you the best service, at the best price. The websites below can help in seeing exactly what types of ac and heating equipment is out there. We will be happy to answer any questions you may have.